Original wall system from the late 50. 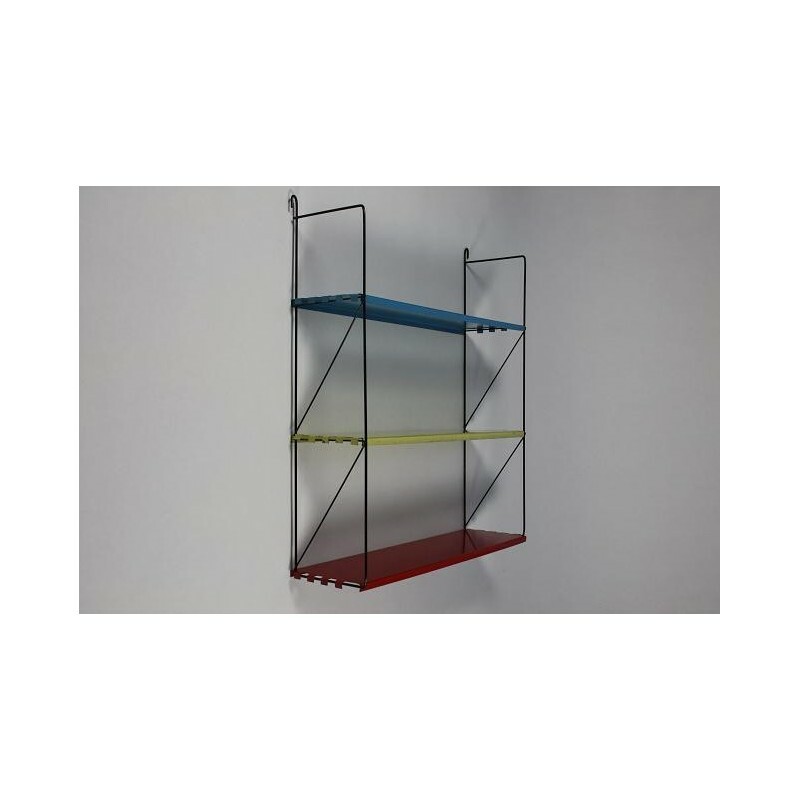 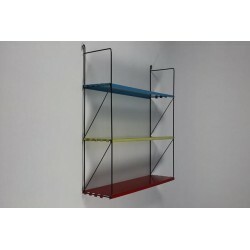 The system has 3 metal shelves in the colors yellow, red and blue the uprights are black. 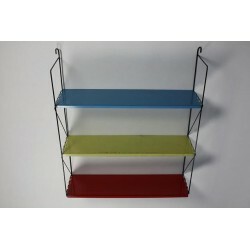 Is in a reasonably good vintage condition, here and there the paint is damaged. 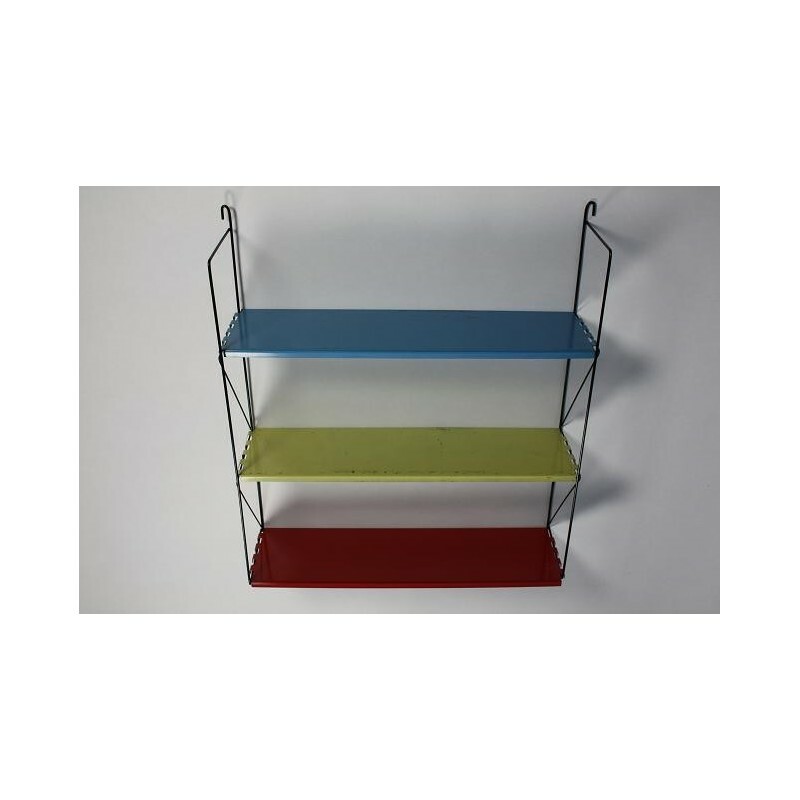 The size is 64,5 cm L / 17,5 cmW / 68,5 cm H.